Geophysics and Remote Sensing | Geo-Technology Associates, Inc.
Geophysics offers a window into the earth and delivers cost-effective benefits. GTA’s Geologists and Geophysicists use physical properties (i.e., gravity, electricity, density, magnetic, electromagnetic, etc.) to remotely sense into the subsurface of the earth. Geophysical techniques are known as “non-invasive, non-destructive” techniques because they rarely require that the ground be excavated or even disturbed. Geophysical methods are especially ideal at sites where no disturbance is allowed. GTA professionals evaluate the appropriate geophysical methods to utilize, which is essential to a successful outcome and may result in significant savings and improved data over more traditional site exploration methods. GTA provided remote sensing, geophysics, and hydrogeologic services to evaluate and select locations for groundwater production well drilling. GTA performed fracture trace analysis of the site vicinity to evaluate areas of the site where zones of subsurface rock fracturing may be present. Potential fracture zones were “ground-truthed” via site reconnaissance. Based on the results of the fracture trace analysis, reconnaissance and review of published geologic literature, transects throughout the site were selected for performance of electrical resistivity and very low frequency (VLF) surveys. 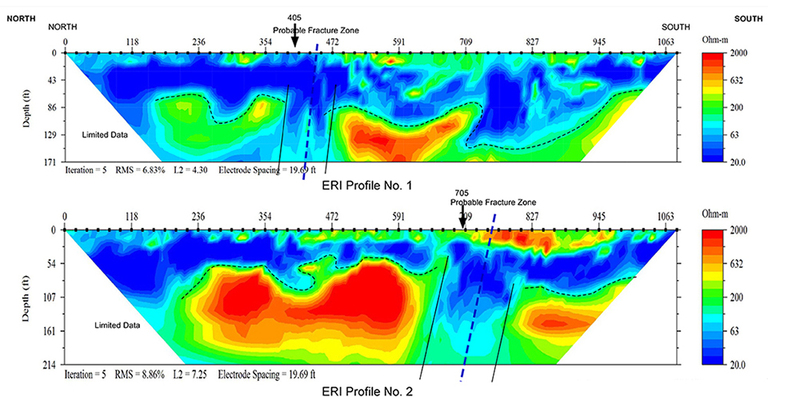 Electrical resistivity and VLF surveys were performed and the data were analyzed in conjunction with fracture trace analysis results to identify potential zones of relatively intensive fracturing of water-bearing rocks. Zones that were identified were selected for future test well drilling. The geophysical methods applied at the site facilitated analysis of subsurface conditions extending downward to 200 feet or more below the existing ground surface. 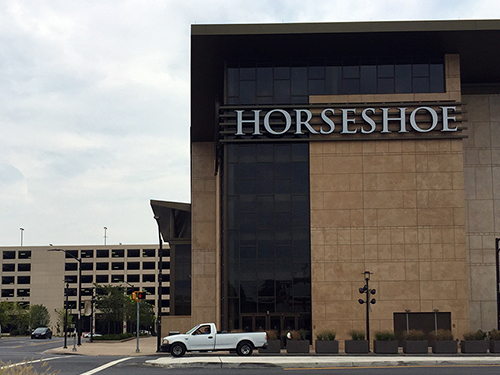 GTA provided subsurface explorations and laboratory testing for the new two-story Casino with 122,000 SF of gaming space, 20,000 SF of food and beverage outlets, and associated seven-level, 3,500-car, above grade parking garage in Baltimore City. The subsurface profile included relatively deep layer of fills and soft clayey soils requiring use of deep foundations. Subsurface explorations were extended to depths in excess of 90 feet, where rock cores were obtained. GTA developed design and construction recommendations for supporting the structures on drilled piers (caissons) extending through the fill and soft soils. GTA performed geophysical testing to characterize shear wave profile at the site. This information allowed GTA to assign a more favorable seismic site class that resulted in reduced design seismic loads for the structures. GTA also provided several options to design and construct the ground level slab without using a framed slab-supported on deep foundations. 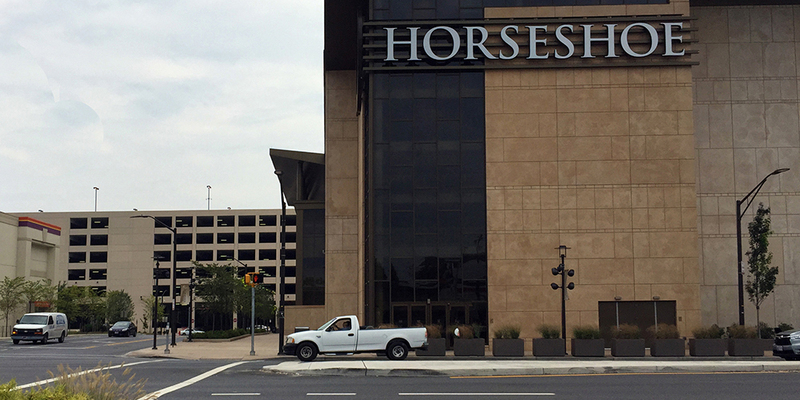 Prior to start of foundation construction, the contractor proposed use of Continuous Flight Auger (CFA) piles which have not previously utilized in the Baltimore area. GTA assisted the owner with the review and setting performance and load testing requirements. GTA observed and evaluated several static and dynamic load tests on CFAs to develop installation criteria and allowable loads for CFAs of different sizes (diameters). GTA’s involvement resulted in significant cost-savings to the project through evaluation and implementation of various alternatives and by avoiding potential construction challenges. 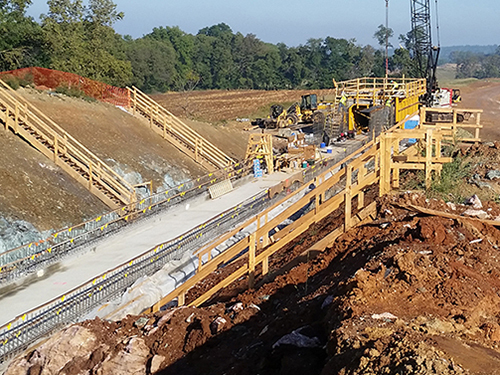 GTA provided geotechnical consultation services to facilitate the design and construction of a five-mile conveyor and associated site improvements between the Union Bridge and New Windsor plants. 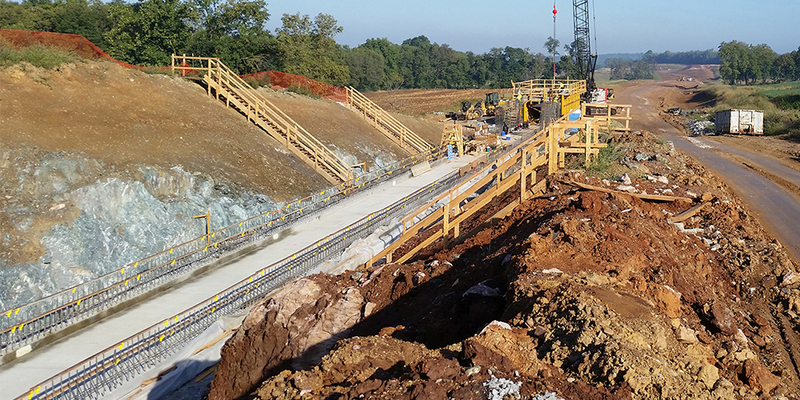 GTA also provided recommendations for the design and construction of the new rock crusher and 50-foot-tall retaining wall located at the New Windsor site. These services included 46 new subsurface explorations, review of 84 previous subsurface explorations, a new geophysical survey in the area of the New Windsor pit and rock crusher, as well as a review of a previous geophysical survey for the conveyor. The geotechnical explorations included a combination of Standard Penetration Testing (SPT), rock coring, and air track probes to evaluate the soil and rock, and to determine the approximate elevation of the rock surface. The evaluation of the subsurface conditions included laboratory testing of the soil and rock samples recovered from the explorations. Many of the geotechnical explorations included rock coring and recovery of soil and rock samples for laboratory testing. 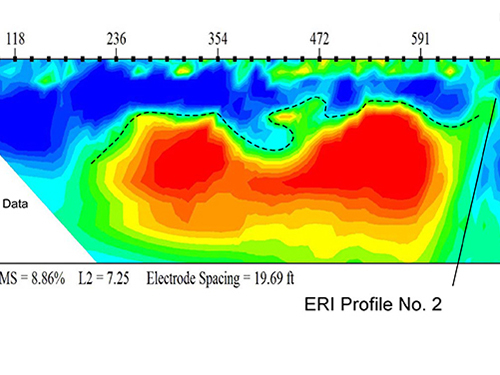 The geophysical surveys included seismic and electric resistivity profiles. GTA complied several years of new and previous subsurface data to provide design and construction recommendations for the overland and tunneled conveyor sections, as well as the foundations for the rock crusher, retaining walls, transfer towers, and conveyor bents. The limestone associated with the regional geology is prone to karst formations. Possible karst conditions were encountered along the conveyor alignment and below the rock crusher foundations. GTA provided recommendations to mitigate the karst conditions and permit the construction of the proposed structures.